Victorian fashions range from the 1840s up to about 1900. Women’s fashions in that sixty years were almost as diverse as the following sixty years. Women went from wearing several petticoats under their skirts, to huge four foot diameter cages. Next came the bustle (ie, the huge rear) and then the sleeves wide enough to make navigating some doorways a chore. 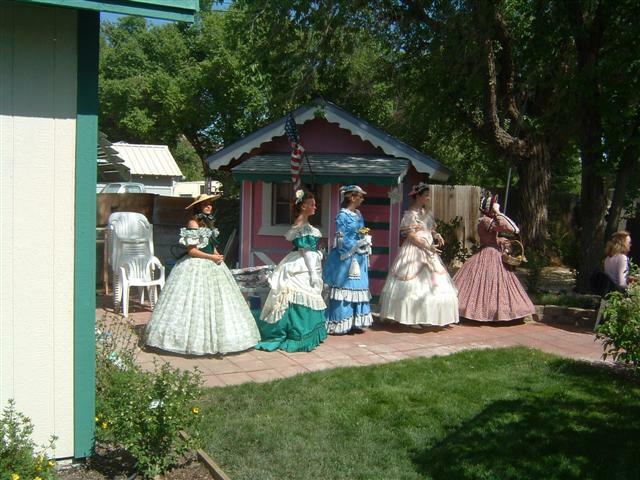 The Victorian Fashion show showcases many of these fashions. Elizabethan fashion shows showcase fashions from a servant girl in the kitchens to the Archbishop of Dublin, from a lowly, though wealthy mercenary to the Queen herself. All fashions are period correct and thoroughly researched. There can be five to fifteen different fashions. 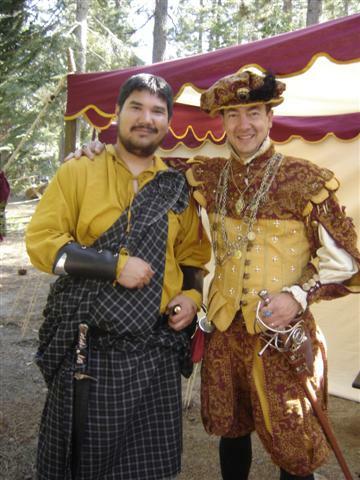 With anywhere from five to twenty five models (provided for you or by you), the Victorian and Elizabethan Fashion shows are sure to be a hit with all ages and even both genders. Make learning fun, bring the field trip to the school! 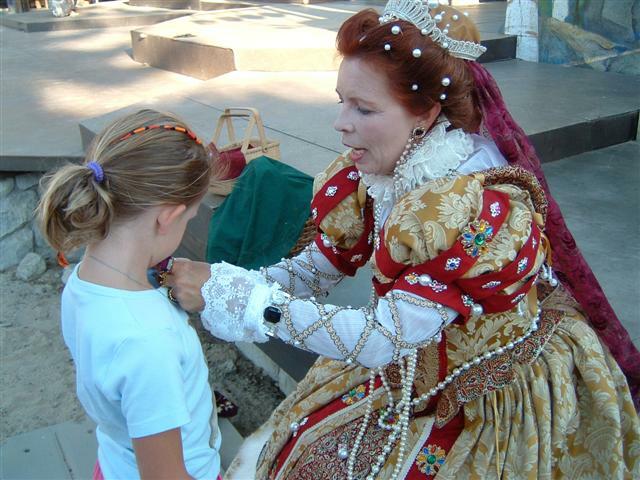 Lady Maridy and her crew can come to your school and set up a Renaissance Encampment or a Victorian Lawn Party. 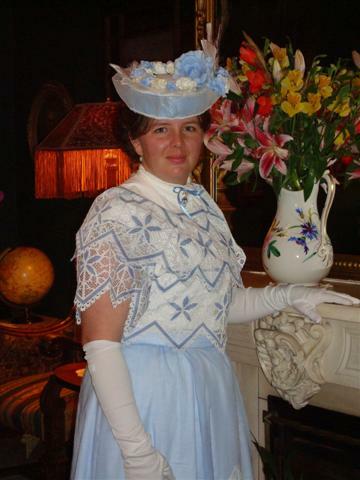 Your students would learn all about the different social classes, games, dancing, and clothing of either time period. Additionally, any of the above entertainment venues can also be used for education and entertainment for your students.